Irene McKinney is the recipient of a National Endowment for the Arts Fellowship in Poetry and two West Virginia Commission on the Arts Fellowships in Poetry. She is the author of five books of poetry: The Girl with a Stone in Her Lap (North Atlantic, 1976); The Wasps at the Blue Hexagons (Chapbook, Small Plot Press, 1984); Quick Fire and Slow Fire (North Atlantic, 1988); Six O’Clock Mine Report (University of Pittsburgh Press, 1989) and Vivid Companion (West Virginia University Press/Vandalia, 2005). She is editor of the anthology Backcountry: Contemporary Writing in West Virginia, and has held fellowships at McDowell Colony, Virginia Center for the Creative Arts, and Blue Mountain. She was appointed Poet Laureate of West Virginia in 1994. Recent poems are in American Voice, Artful Dodge, Arts & Letters, Kenyon Review, Confluence, South Dakota Review, Kestrel, Poetry Northwest, Clackmas Literary Review, Washington Square, Georgia Review, and others. 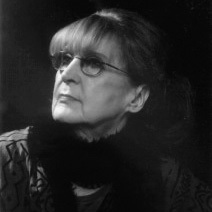 Her poems have been featured three times on Garrison Keillor’s Writer’s Almanac. She has been writer-in- residence at University of California at Santa Cruz, Western Washington University at Bellingham, and the University of New Mexico at Albuquerque, among others. She is Professor Emerita at West Virginia Wesleyan College.